To develop a Android Application that creates an alert upon receiving a message. Then type the Application name as “ex.no.10″ and click Next. 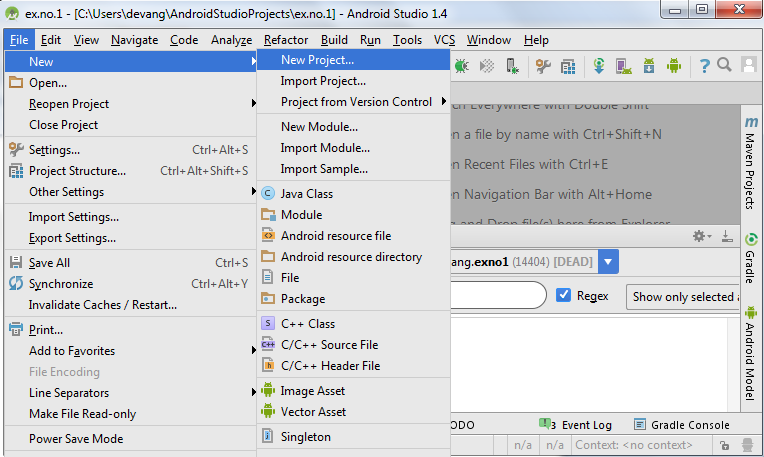 Click on app -> java -> com.example.exno10 -> MainActivity. Thus Android Application that creates an alert upon receiving a message is developed and executed successfully.